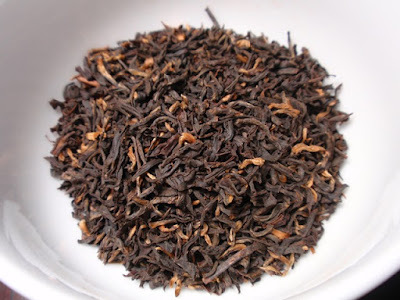 Product Description: Assam tea estate which has the distinction of being India’s first fully clonal tea garden, reputedly the best tea garden in Assam. Hajua Estate Assam has many leaf tips showing fine and costly harvesting technique. Very big, full bodied, winey and malty flavor. The dry leaves have an aroma of cocoa, dates, and wood. The infusion is bright red with a sweet aroma of cocoa, fruit, and a hint of wine. The taste is moderately astringent and malty with a sweet, dry finish. 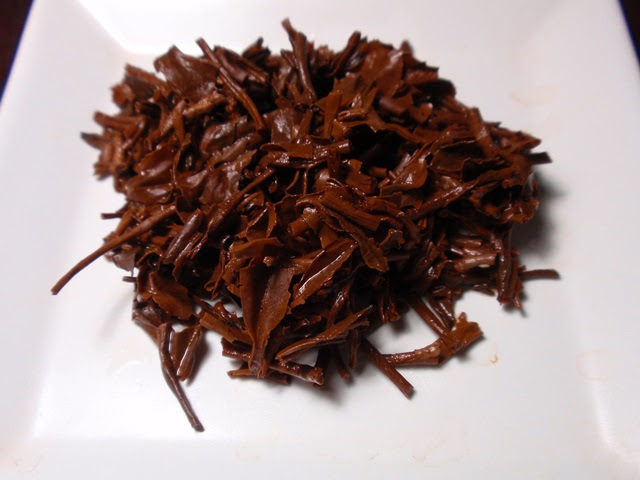 This tea has a surprising amount of nuance and full flavor in the first steeping. 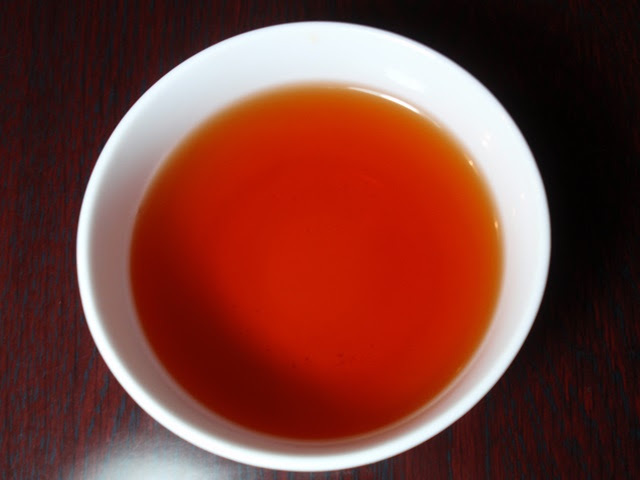 While it became more astringent and dry with a second steeping, it could still be enjoyed. As with most Assams, I would not recommend a third steeping.